Did you ever feel like you were hit by a brick to get your attention? It all started on Sunday morning in 2006, when God hit me on the side of my head, figuratively, of course, and told me to pay attention! The impact was so profound that it may as well have been the real thing. I’d heard many missionaries speak over the years, but this was different. 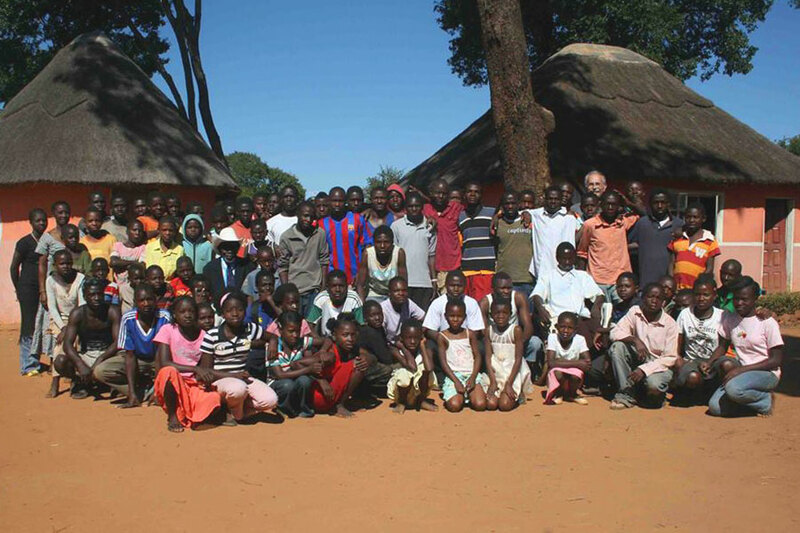 Hearing the plight of the millions of orphans in Zambia touched my heart, and on that day, Mission Possible was born. I made a commitment to these children on a warm July evening, sitting on my deck having dinner with my husband, a friend, and the missionary who had spoken. When I asked what an immediate need that we could fill was, he spoke of a school for 700 AIDS orphans that had no books, no supplies. He told of dedicated teachers who took their meager salary to the internet café to print 1 copy of information to share with classrooms of 50. I was humbled to think of how often as a high school teacher in the USA, I’d been perturbed when I was missing 1 copy of Julius Caesar or To Kill A Mockingbird; how that inconvenienced me to run around the building to find another classroom that had a spare. So, promised to fill the school with books and supplies, and have a team in Zambia within a year, though I had no idea how I would make this happen, yet I knew it was meant to be. I handed it over to God to guide me, and He led the way, moving mountains of challenges as I learned to work with international shipping, customs, export codes, fundraising, team building, and so much more. In less than a year, we were in Zambia; a team of 11 brave souls, followed by a container full of 27,000 lbs. of books, tons of school supplies, medical supplies, bicycles, baby items, an ATV, computers, and so much more. We found Jesus in the eyes of the destitute and dying, hope and love on the faces if the children, and realized the true meaning of “It is better to give than to receive”, as we gave away our meals and the shoes on our feet. God continues to work in mysterious ways, and what I thought would be the culmination of our mission upon return to the USA, was just the beginning. While in Zambia, we met Fr. Pierre Ruquoy, a Belgian missionary priest who was awaiting his assignment after 30 years ministering to the Haitian slaves on the sugar plantations in the Dominican Republic. What appeared as a chance meeting was divinely orchestrated for the next phase of Mission Possible. Fr. Pierre was assigned to minister to a large area of villages out in the bush, and before he could get his ministry established, an orphan by the name of Kasonde showed up at his hut, asking for food and shelter. Fr. Pierre offered the little he had, and soon more children were at his door. Being very tech savvy, he reached out to Mission Possible via the internet, and I remember writing, “Pierre….where did you get these kids”…, and then immediately wired $1000 for supplies. He continued to take in children, and the Sunflower Family rose out of grasses of the savannah. As the family grew, Mission Possible continued to support in any way we could. Fr. Pierre’s friends and family in Belgium also came to the rescue, and sponsorship for the children was encouraged. Fr. Pierre epitomizes the “loaves and fishes”. No matter what we send, he sustains and multiplies it. We’ve seen the fruits of his labors and the progress of our projects; from the chicken house to the well to the tilapia pond. Soon, we will build the food pantry/storage building, and plant the first 100 moringa trees. I’ve been blessed to find my purpose. This mission has allowed me to witness miracles, to see firsthand, the mighty power of faith in God. It’s been an emotional roller coaster and the journey has not been without obstacles, but when I’ve put aside my pride and stubbornness, and give those obstacles up to the Lord, great things happen.